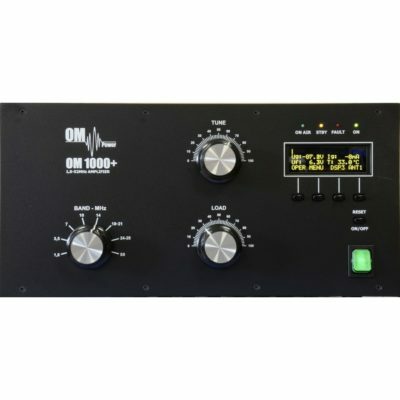 RM HLA 150V Plus is a 1.8 – 30 MHz all-mode all-band HF amplifier perfect for raising the power of a SDR or QRP transceiver to 100+ watt output level, or use as a buffer amplifier for a larger tube amp. The RM HLA 150V Plus uses two MRF 455 RF power transistors in a parallel push pull circuit biased in class AB. 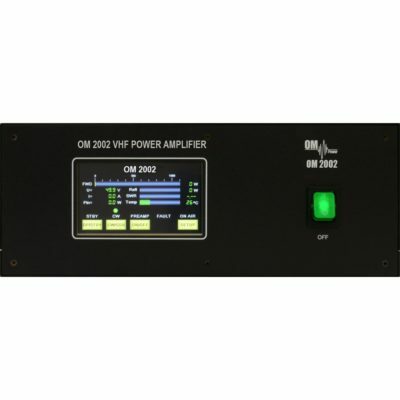 There are 6 Low Pass Filters to reduce harmonic output that may be selected manually or automatically. 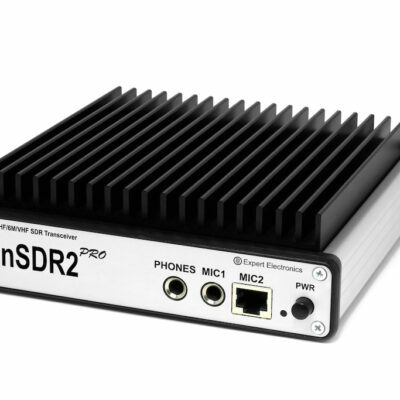 TX/RX switching can be automatic using RF sense or via external PTT input. 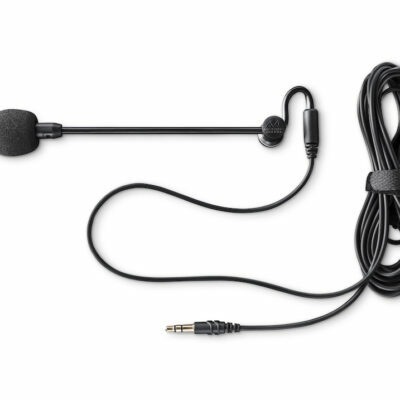 Two variable speed fans mounted on top of the heatsink keep the amplifier cool even under intense operation such as in contest use. 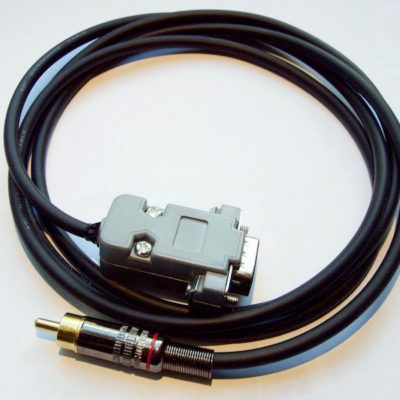 The amplifier’s protection circuit will warn you about over heating, too much drive power and SWR above 2.5:1. 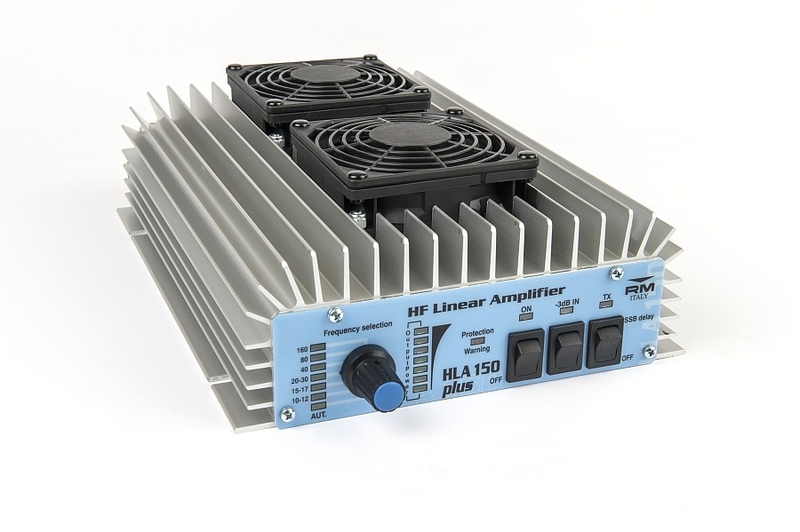 * The RM HLA 150 is a good amplifier up to around 100 watt. 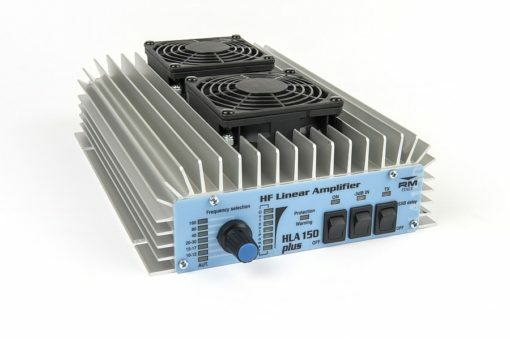 We suggest that you read this test of HLA 150 by W8JI which has detailed information on the performance of this amplifier.